SEOUL -- The cold war – yes it brings shivers down your spine, not knowing of what the unknown holds, the bloody war it has brought, the risk of nuclear and radiological terrorism, deformation in the human body and families being torn apart. Our achievements and thriving economy in the past decades must and cannot go to waste. Great Leader Kim Jong-un goes for what he wants. His first major policy directive in 2013 was adopting a strategy known as Byungjin, the Korean word for simultaneously developing nuclear weapons and building the economy. Many scoffed at the idea that the goals were incompatible due to high cost and the devouring of relationships with other nations. As the big guns were brought to the table, Kim appeared to have pulled it off at some time. As expected, the Millennial leader pushed and went for what he wanted. But yet again, tensions were sky high in 2017. North Korea outrightly defied the United Nations Security Council by ramping up the development of nuclear weapons, sparking a war of words with U.S. President Donald Trump. At one point in time, North Korea could be seen attracting support from Cuba in efforts to develop their nuclear missile program. The world watched and waited in fear of the possibility of a second Cold War if North Korea succeeds in Cuba. In 2018, Kim ordered the execution of his uncle Jang Song-thaek. Soon after, his half-brother Kim Jong-nam was assassinated in Malaysia. Adding to the demise and unknowing death of the two, a huge amount of money was spent developing and testing a hydrogen bomb where death and radiation poisoning is highly and almost certain. Threats were exchanged with the United States. How did Kim achieve such an astonishing transformation -- A Nuclear Madman, as critics say, to a candid one in pictures. The speculated diplomacy that the young leader is taking has defied and broken stereotypes. His strategy to ameliorate the skeptical nature of North Korea is one to go down in history. Kim's move has since been carefully coordinated, from sending his sister Kim Yo-jong to the Winter Olympics in South Korea, and the image of the secluded totalitarian state was beginning to disintegrate. The image of a probable new strategy taken up by the young leader was disseminated through the media and word of mouth. 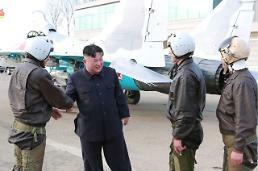 Following the appearance of his sister, Kim made a surprise visit to China, citing speculations indicating Pyongyang's need for support from China which has served as Pyongyang's only major military ally since troops were sent during the Kim II-sung era. But with Kim Jong-un coming to power in 2011, the relationship between the two countries has been strained. Following the death of his uncle which had close ties to Beijing, Kim aggravated China with his defiant push for missile and nuclear testing, turning a deaf ear to Beijing's stated goal of a denuclearized peninsula. North Korea's economy suffered as China closed their borders to join international sanctions. When Kim showed up smiling broadly next to Chinese President Xi Jinping on an armored train, it was a surprising sign that China had repaired the friendship with North Korea. China's agreement to the international sanctions may have been a key movement to draw North Korea into the spotlight. Kim was not ready to give up the warm relationship with China. The softening of China's posture served to highlight the possible indication of Kim's reduction in his nuclear chase. Kim made his debut in the foreign media with the historic encounter with Moon Jae-in. Kim and Moon were followed around by television cameras and photographers as they made their way through Panmunjom, the cited "peace village" in the Demilitarized Zone. 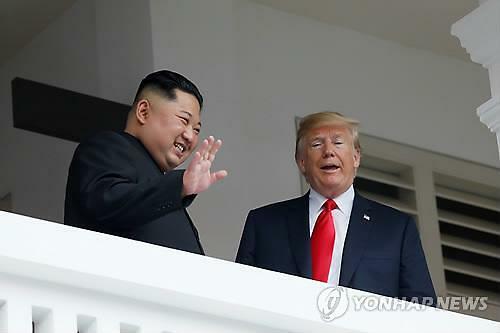 Both leaders stepped across the demarcated line that separated the two Koreas and held a private meeting with each other. Pictures of them holding hands were captured and included Kim thanking the media for coming down to be part of this historic moment. This marked the start of a comradery that would have been unimaginable at some point. 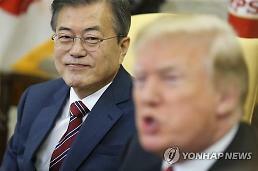 Despite Kim's access to his nuclear powers, he dangled the possibility of denuclearizing the Korean Peninsula in front of U.S. President Donald Trump, indicating a bold gesture by the "diplomatic" president. Despite skepticism, his actions have drawn positivism and only time will tell. Kim has probably had many in-depth thoughts. The best way to move forward in this ever-unpredictable world was for cooperation and coming up with a deal where everyone can live by. Many critics have analyzed that the sudden pivot towards diplomacy was due to the immense sanctions. Trump's "maximum pressure" campaign has resulted in the speculated nuclear deterrent strategy adopted by Kim. Trump's push, coupled with survival instincts from the North Korean leader, has allowed them to reach an understanding of North Korea's denuclearization. On April 12, fiery rhetoric by the two leaders was put aside and a new friendship was established between them. Their recent diplomatic strategy embodied strength and support for each other. With Kim completing the end of his deal, North Korea will see a new-found coalition with the rest of the world. 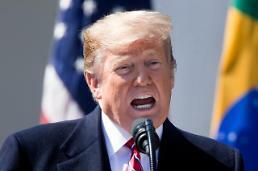 Trump's news conference after the signing of the denuclearization document in Singapore has shown a probable affirmation to Kim, indicating that North Korea may finally be able to join the world economy. Kim has defied criticism with his genuine deal with Trump. With Trump's support, Kim has received several comments on reconnecting North Koreans to their glorious past. 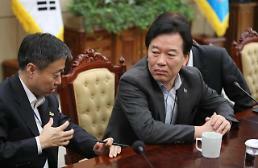 Kim's bold and skillful move in boosting his nation's pride draws him closer to profound steps in the right direction. But as keyboard warriors mentioned on social media, this reinvention of Kim's image is just the beginning as the world awaits further updates on his end of the deal. This column was contributed by Jazin Wee, an editorial assistant based in Singapore.